Nastya and Anya were ordinary girls who lived their own lives, until one day everything changed. In the fall of 2025 a very dangerous toxin was stolen from a secret laboratory, which stupid thieves for some reason sprayed over the city. Nobody expected that people would start mutating and turning into zombies and monsters, but that’s how it all happened. The epidemic spread very quickly, the zombies grew bigger and bigger. The army can not cope with such numbers of non-humans and suffered huge losses. The cities turned into desert filled zombies, where even armed patrols with tanks and battles do not dare to go. Every day people become less and the government decides to create a shelter, this is the only way to save the remnants of people from zombies. In these shelters, scientists work on a vaccine that can heal the infected and save the world from a zombie invasion. Nastya and Anya stood on the suburban road and read the announcement on the billboard, in which it was announced that the evacuation had begun. The girls found the car and were ready to go to the shelter when a zombie popped out of the bushes unexpectedly. It happened so unexpectedly that Anya did not have time to jump off and the zombie managed to bite her before Nastya killed him. It meant only one, Anya is now infected and after a while will turn into a zombie. If the girls do not have time to get to the shelter, then Anya is waiting for the sad to consider becoming a zombie. Therefore, they need to hurry very much! – Get to the shelter on the steep and powerful cars! 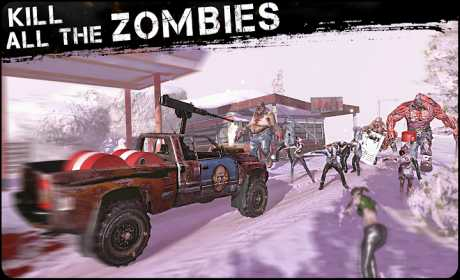 – Kill and destroy the zombies! 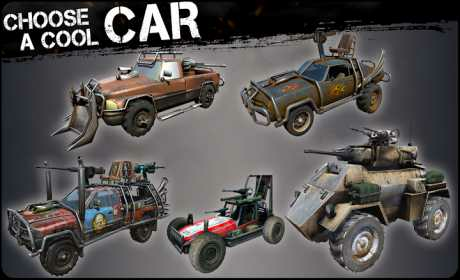 Pull your car, put a steep cannon on it and shoot crowds of zombies! – Admire the beautiful 3D graphics. Zombies fly away from the car, the boxes collapse, and the barrels explode! 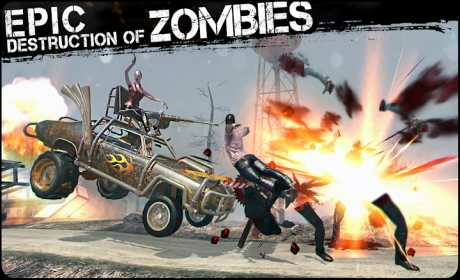 – Different types of zombies, you do not have to be bored by destroying them! – Achieve achievements and compete with players from all over the world!